The design of this bathroom is truly stunning and we are proud to have helped make this vision a reality. 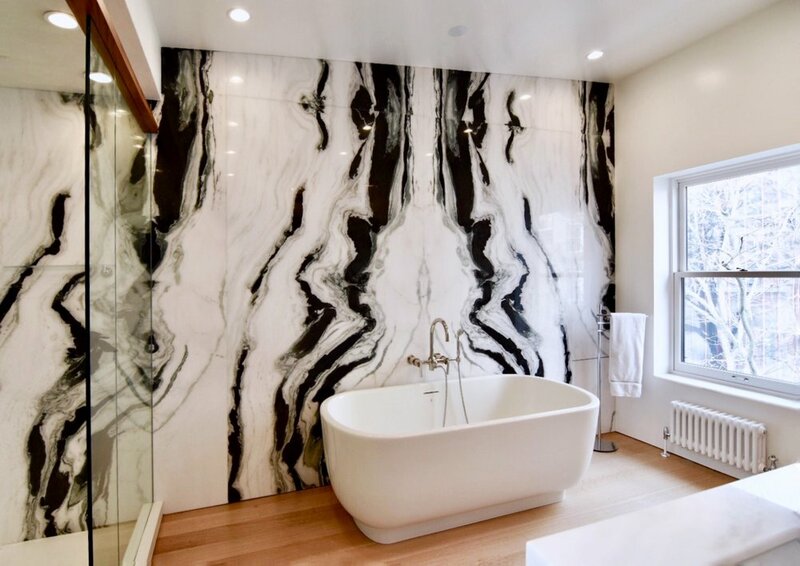 The placement of the bookmatched marble slabs perfectly frames the bathtub for an awe inspiring effect. Imagine viewing this every morning, what a beautiful way to start your day! We work with architects, interior designers and contractors to create the home of your dreams. If you have a project that needs superior custom stonework, contact us!